It is often wrongly perceived that buying additional furniture is unnecessary and can make the room look dowdy. A living space with explicitly planned furniture placement never ceases to make the room cosier and homey. When the thought of re-arranging a room and giving it a new make-over arises, you should grab the idea immediately and react to it. With proper analysis of your space and the pieces of furniture in a room, you can create a warmer cosier space with suitable additions to it. While it can seem difficult to choose a fitting furniture addition to the living space, it actually is not so hard. At Furniture Coast to Coast, we completely understand the trouble of the consumers to find the right addition to their room. To help them find a suitable furniture accessory, we have a whole section in our online furniture shop. So, now you can stop your furniture hunt at our shop. There are three different types of furniture that can be added to any space without messing with the room’s character and aura. Here are some tips for you consider when you add new pieces of furniture to your room. Accent chairs are a wonderful opportunity for people looking to create an extra splash of vibe to the room. Whether it is the living room, the recreational room or even the bedroom, the accent chairs are compatible with every living space. Living Room: To add the accent chairs in a living room, choose ones that match with the sofa. Or you can also go for contemporary designs and make the room look contrasting with different pieces of furniture. These chairs are also valuable when there is a new seating requirement. Recreational Room: A game room or a music room is a place for creativity to branch. Having friends and colleagues over for a game time in the recreational room never bores us. An additional accent chair at this room will be both useful and makes the room comfortable for guests. Bed Room: Do you ever fancy a “me-time” to read books by the window and enjoying a nice hot cup of coffee? With a fabulous accent chair including a comfy seat and armrest will make that dream come true. An accent chair in the bedroom is the most suitable choice you can make for a bedroom makeover. At our online furniture shop – Furniture Coast to Coast, we have a big assortment of Accent chairs from which you can choose the best one for your living space. A bench is seldom incorporated in a home arrangement plan. This piece of furniture actually has so much to offer and can be included in any room. It even has a vacant space in it that can be used as storage. It wouldn’t be a wise decision to neglect this furniture even before thinking about them. Living Room: A bench arranged near a sofa or at the corner of the room, gives you a better geometric visual of the area and hence increases the aesthetics of the room. Additionally, it also provides a good storage and seating place. Recreational Room: A recreational room is a place which doesn’t need so many pieces of furniture, but a bench carefully placed against the wall doesn’t take up much space and also gives the additional seating place and storage area. So, this is like a two in one advantage when you buy a bench for the recreational rooms. Bed Room: A bench in the bedroom can be very helpful. 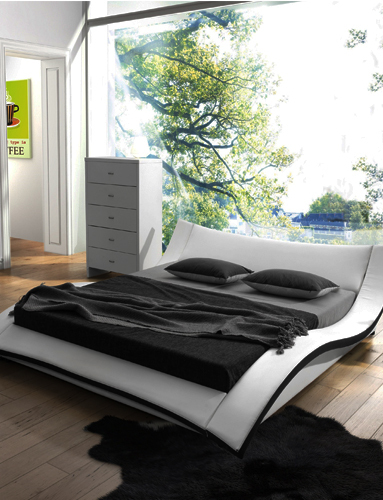 Ideally, when positioned at the end of the bed, it can be a good seating place as well as a storage chamber. When put near the accent chair at the corner of the room, it can act well as a leg rest and provide comfortable seating experience to you. At the Funiture Coast to Coast Online Furniture shop, you can find great benches with comfortable seats and huge storage to suit every room of your home. Do find the best one for your room of choice. Hence, making a room more comfortable is not a tedious one. An extensive analysis of what you want and the best shop to buy it are the only things you should consider while hunting a furniture. Here, we have helped you with the research as well as found you the best place to buy the furniture. So why wait? Seize the day and make some incredible additions to your nest.